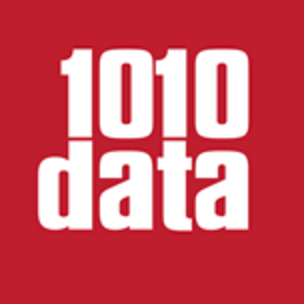 1010data provides a unique, cloud-based platform for big data discovery & data sharing. As the Director of Product Management here at 1010data, youll have the autonomy & responsibility for leading one of 1010datas highly anticipated product lines which initially includes; setting the strategic vision, developing the overall business case & executing interviews with potential buyers & users of our products. Youll guide a cross-functional team that is charged with a product line contribution as a business unit. This can include increasing the profitability of existing products to developing new products for the company. This position requires extensive SaaS product ownership experience as well as the ability to work through, & influence, every part of the organization as an ambassador for 1010data products. More importantly, the type of persona were seeking is someone with deep experience working on & developing products as a service, is strategic, not tactical, with many resources dependent on the decisions they make. Significant revenue will be impacted by those decisions. Create the product roadmap aligned with corporate strategy, market & innovation opportunities. Ensure product excellence by enabling our products to empower our target user to perform the key users stories in an intuitive, emotional & powerful way as well as ensuring the product is easy to learn. Build Scalable Product Development Processes that ensures sales, product, & development teams are aligned on strategic roadmap. Ensure the entire team is focused on our actual customers with both the buyers journey & their key characteristics by identifying the target market segments, solution set for each product in portfolio. 15 years experience in technology, with at least 5 years leading high-performance product teams in a fast-paced organization. (SaaS, SAS, PaaS). Strong understanding of all facets of bringing a product to market including: market analysis, product-market fit, positioning strategy, MVP's, go-to-market strategy, pricing, testing, iterating based off testing results, etc. Deep experience owning & implementing roadmaps, product strategy & understanding how to rally teams behind & execute upon a thorough long-term plan. Familiarity & comfort with data analytics, consumer data, business intelligence, data science including the ability to use data to analyze & monitor product KPI metrics. Superior communication skills, including the ability to crystallize & broadly socialize insights into stakeholder needs that the stakeholders themselves may not be able to articulate. Hands on development of products as a tool. (BI, BA). An essential tool to more than 850 of the worlds top companies including The New York Stock Exchange, Dollar General, P&G, Sams Club, Nespresso, Barnes & Noble, & RiteAid; the 1010data platform is a highly differentiated product that is becoming the industry standard for big data discovery & data sharing. With petabytes of data in our private & public clouds, 1010data is designed to scale to the largest volumes of granular data, the most disparate & varied data sets, & the most complex advanced analytics. All while delivering lightning-quick system performance.